Love this! Great CAS card! It might have only been put together in a jiffy but look how darn gorgeous it is!! Fab card - can't wait to see your PDC one now too - thanks for wetting my appetite!! 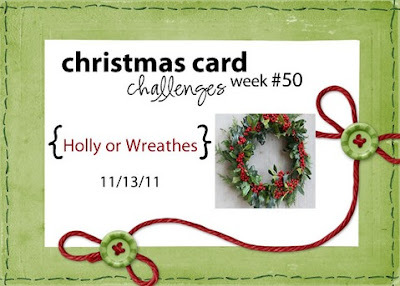 GREAT CAS card Colleen! What a pretty flower!! What a super CAS Christmas card---I'm totally casing it! LOVE! Easy, quick, and gorgeous. You just can't beat that, Colleen. It is a wonderful Christmas card. Very pretty, Colleen! I love that die cut! The bling in the center of the flower is the perfect touch! Such a pretty card! Thanks for joining this week's CCC! Such an elegant and pretty card. I do hope you are having a great week so far..
Great eye on the inspiration photo and an excellently beautiful CAS Christmas card! Sweet design, Col...I love when I can use up details from other projects, makes me feel like they did, in fact, have a purpose! Love the colors and those darling stamps, too! What a great CAS card, really pretty! Sometimes the quickest and simplest cards are the best! I love the flourish and the sweet flower. THis is a gorgeous CAS card! Great one! What a great card! 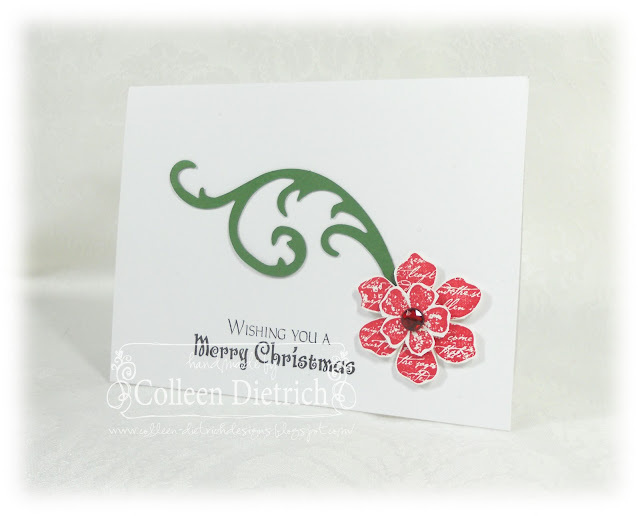 That flower is awesome and the simplicity of the card is just gorgeous! !